With the 4D puzzle of the city of New York, you can build a scale model of the famous city, including all the historic and modern buildings to discover how the city has changed over the years. Albert Einstein said that the fourth dimension is time. Build a city as it was back in the century when buildings and architecture were modern at the time. 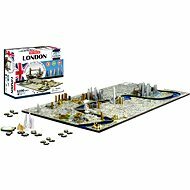 It‘s a 4D City puzzle of highly detailed city maps, including streets, parks, islands, roads and railways. It will be up to you if you build the modern version of New York, or how it looked like back in the 18th century. The first puzzle/layer - History of the period hundreds of years ago (London - 1666, Paris - 1736, New York - 1700 USA - 1783). The second puzzle/layer - Present (they look like the cities and states of the 21st century). The second puzzle lays upon the first layer. It has cut-outs for natural phenomena (rivers, mountains). 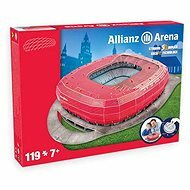 It is made of soft foam (1cm high) so that the building can be inserted easily into it. The third puzzle/layer - The addition of buildings (Rome since 497 BC, London - 1078, Paris - 1345, New York - 1812, USA - 1450 + thousands of years old landscapes). It is applied to the second layer. The fourth dimension/layer - Time. You can see how the city developed in time. Build London as it was in the 12th century, or how Rome looked in ancient times. 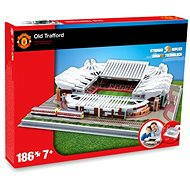 Proceed chronologically and add the buildings as they were once built. For shipping to other EU countries visit this page 4D City - New York. Für Versand nach Deutschland, besuchen Sie bitte 4D New York City. Chcete doručit zboží do Česka? Prohlédněte si 4D City - New York. Chcete doručiť tovar na Slovensko? Prezrite si 4D City - New York. Für Versand nach Österreich, besuchen Sie bitte 4D New York City. Magyarországra történő kiszállításért tekintse meg ezt a termékoldalt: 4D Város - New York.